No matter how hard we try, we simply can’t do it all or be experts at everything. Even Admin and Beyond needs to expand capacity and defer to the expertise of others every once in a while. Please allow us to introduce our extended family of professional service providers. Each organization has been vetted for the highest caliber of product and service and is uniquely qualified to assist you with your business challenges. Want to set up a meeting? You may contact them directly, or give your Admin and Beyond support team a call. We’d be happy to set up a meeting for you. Media Moon, LLC. was established in 2009. Before that, we noticed that there were a lot of technologies out there that many business owners, managers, and consumers didn’t know about. These technologies were able to help them operate more efficiently, effectively, safely, and securely. Most times these business owners, managers, and consumers are not in the business of knowing technology, nor do they want to. We were started from that idea: to help those people focus more on what THEY do, instead of having to worry about the technology side of things. With that said, our mission as a managed IT service provider (MSP) is to ultimately give peace of mind and increased productivity by managing and optimizing your technology. Allan Ellison has decades of experience helping companies of any size increase revenues by closing more sales and sales of a higher lifetime value. He can also mentor your company through the arduous process of building a sales checklist to ensure you aren’t missing crucial steps, messaging incorrectly, or targeting the wrong customer. Minuteman Press is a full-service company that provides printing and marketing design items to help grow businesses. If there’s one thing we’ve learned over the years, it’s that no amount of technology can replace the human touch. That’s why we hire only the most qualified individuals to serve on our team. We look for people that share our philosophy that your business is our business. 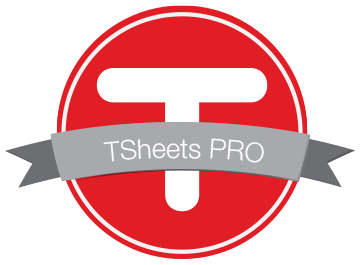 We proudly support the #1 Employee Rated and Requested Time Tracking Software on the Planet. Hubdoc makes bookkeeping easy. It auto-fetches key ﬁnancial docs, seamlessly syncs them with your accounting & helps audit-proof your business. With Hubdoc, say goodbye to chasing documents and data entry and say hello to increased productivity and automation.